They are called Farmerline, CowTribe or Ghalani: they are 100% agricultural applications that allow the country to invent the agriculture of tomorrow. Discovery. This is a digital solution that responds to one of the current incantations concerning the development of Africa: “Agriculture is cool! To quote the African Development Bank. With Farmerline, a vocal agricultural application of his invention, Alloysius Attah and his associate Emmanuel Owusu Addai collect awards for entrepreneurship and business creation (Echoing Green Global Fellowship in 2014, Cordes Fellowship in 2015, and most recently the award International King Baudouin for Development, which rewards “outstanding contributions to development work in Africa” ​​… But the essential is elsewhere. Four years later, Farmerline soon became a must. “Our farmers do not work directly with the app. They benefit from the services offered by our Mergdata platform. This allows us to share information with farmers, in an accessible way, in large quantities, in voice or SMS mode, and in any local language depending on their connection, literacy and the language of the farmer. farmer. This breaks down existing language and communication barriers, “said Ghanaian junior geek Goyen trained in natural resource management at Kwame Nkrumah University of Science and Technology in Ghana. Agriculture in Africa is more than 600 million hectares of uncultivated arable land, nearly 65% ​​of the world’s available arable land. 25% of the continent’s GDP and 60% of the African labor force, of which 80% are smallholders, that is to say less than two hectares. “The African Development Bank is urging African countries to rebuild rural areas, now areas of economic misery, to transform them into areas of economic prosperity,” said the pan-African financial institution. 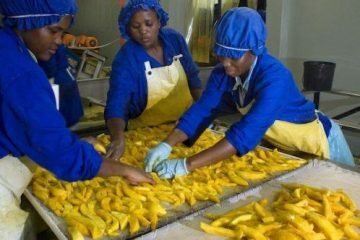 Nearly half of the labor force in Ghana works in agriculture and just over 50% of the land is cultivated, according to Ghanaian government figures from 2014. Agyei Douglas grows vegetables near Kumasi, in central Ghana, where he has been struggling for years to develop his farm. 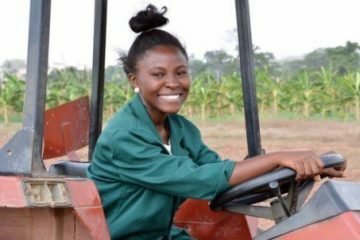 Thanks to the Farmerline app, her daily life has changed and her business is now profitable. Two years ago, the forty-year-old started using Farmerline, which provides, among other things, weather updates, the latest market prices and more details directly on his second-generation mobile phone. In addition, these agricultural councils are also delivered by voice messages in local dialects, such as twi. Until then, the information that the farmer needed was broadcast on the radio, but often they were not adapted to his region, in his particular case, to enable him to improve his yield of lettuce, cabbages or peppers. Farmerline “helped us improve our productions through the information we get, it made things easier for us compared to our previous system,” he told AFP. Farmerline now has more than 200,000 users in ten different countries in West Africa. Farmers who use the platform saw their profits increase by 50%. Farmerline’s business model is a source of pride for its managing director and co-founder, Alloysius Attah, who hopes to break the cycle of poverty and reduce dependency on state support. The Ghanaian government has understood the value of equipping agriculture with modern tools and wants, for example, to map cocoa farms and collect more data on them. In Ghana, several start-ups like Farmerline are also working to strengthen food security through better access to information in the small English-speaking West African country and beyond. Since late 2016, Ghalani has made data collection a priority by digitizing the handwritten records of farmers. It also gives farmers the opportunity to access software to better track their activities and produce reports that can help them get funding. CowTribe is using mobile technology to link farmers in northern Ghana with veterinarians, while startup Hovver is using drones to help farmers map their land. “Agriculture has always been about subsidies,” says Alloysius Attah. “But we are working very hard to show that it is possible to create a business that values ​​farmers and … to be paid for the values ​​that are created. He is already working on another project. This time, he dreams of an application that will connect banks and farmers who need loans, to predict the amount borrowed and the repayment period, without guarantees to provide.